In Part I of this essay entitled Big Pharma Dangerous Drugs and “Drug-Injured Patients, I wrote about some of the ethical concerns that I have had with the modern medical profession. Over my 40 years of practicing medicine I have experienced increasing frustration with its direction, mainly because the business of medicine has been increasingly distorting the ethics I was taught in medical school. The profession has become increasingly difficult to recognize over the 40 year span. Like many other physicians who have tried to take the Hippocratic Oath seriously (“first do no harm”), I also tried to resist the increasing corporate influences that eventually made the once-honorable practice of medicine into a crass profit-making industry. I makes me sad to report that outside forces have gradually made us physicians into computer bound high class technicians that are largely prescribers/providers of Big Pharma’s often toxic and always unaffordable drugs. In the current profit-above-all-else era, it is not even remotely possible for us physicians to be the compassionate healers of the long-gone era that I knew. 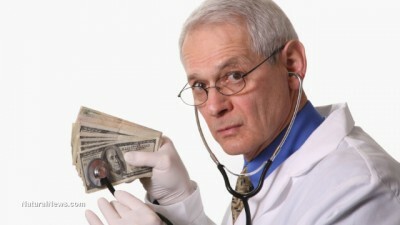 Way too often, the money-making Big Business of medicine is being controlled by institutional shareholders (who demand increasing dividends or increasing shareholder value) whose CEOs are often amoral Masters of Business Administration graduates who are equally at home leading Wall Street banks, tobacco companies, weapons manufacturers or brothels – or big clinics or hospitals. In this era the term “business ethics” (just like “military justice”) is an oxymoron. In fact, every major psycho-pharmaceutical company has been taken to court by thousands of injured and deceived patients over fraudulent marketing, fraudulent advertising and/or fraudulently hiding the serious adverse effects that the drug companies didn’t reveal to the FDA, prescribing physicians or the public. The “chump change” multibillion dollar, usually out-of-court settlements (always with “gag rules” so that the plaintiffs couldn’t say anything about the awards) didn’t convince Lilly to take those three hugely profitable drugs off the market, nor did the FDA ban the drugs. The permanent damages done to unsuspecting patients – including many suicides and other deaths – were regarded by the drug companies and their CEOs as just another cost of doing business. I mention this because every major psycho-pharmaceutical company has been guilty of similar legal entanglements because their synthetic drugs and neurotoxic, heavy metal-laden (mercury and aluminum) vaccines are inherently dangerous, especially when given in batches. Lilly (who also invented neurotoxic vaccine preservative Thimerosal – which was in so many vaccines during the explosion of autism that occurred in the 1990s) was the company that had done the most damage to my unaware patients’ brains and bodies, and they had gotten away with it. It was also Lilly that was the first drug company to seduce me – as a naïve med student – into falsely believing that the psycho-pharmaceutical drug industry was a force for good in the world. Be assured that Pfizer, Merck, GlaxoSmithKline, Roche, Bristol-Myers Squibb, Novartis, AstraZeneca, Janssen, Bayer, Abbott, Sanofi Aventis, et.al. have all been as guilty of malfeasance as Lilly. I implore concerned readers to Google some of my fellow whistle-blowing medical heretics like Peter Breggin, David Healy, Russell Blaylock, Robert Whitaker, Joseph Glenmullen, Loren Mosher, Peter Gotzsche, Gary Null, Martha Rosenberg, and then, starting with http://www.youtube.com/watch?v=9I6_BkqjWN8, watch the many YouTube videos that expose some of the unwelcome truths about Big Pharma’s psych drugs. Also consider watching some of my video-interviews on YouTube by typing in ‘gary kohls’ after accessing the YouTube site. Www.cchrint.org is a valuable website that contains a number of powerful and very well-made documentaries about the dangers of psychotropic drugs. Cognitive dissonance is the psychological discomfort that most people experience when their deeply held beliefs are contradicted by new information that disproves their old beliefs. Since it is impossible for truly thinking persons to simultaneously hold two mutually exclusive beliefs, anxiety and confusion can result. I am happy to say that, given my personal and professional experiences with Big Pharma’s dangerous drugs, I had no cognitive dissonance when my patients were telling me the stories about the medications that had sickened them. However, cognitive dissonance, especially in people (or doctors) that might have been brain-washed from childhood in dogmatic systems (such as religion or medical school), often causes the sufferer to go into denial concerning the new facts, or they may ignore of become hostile to the bearer of the new information. The hostile reaction against the bearer of the new information often takes the form of “ad hominem attacks”. Attacking the messenger of a new unwelcome truth, rather than rationally dealing with the truth, is a commonly used tactic when the new information can’t be refuted using logic. Unfair and endlessly repeated verbal attacks against whistle-blowers (including peacemakers, environmentalists, feminists, human rights/anti-racism/antiwar activists -and some physicians) often succeed in angering-up the listener-supporters of talk show host celebrities like Rush Limbaugh (whose devotees proudly call themselves “DittoHeads”). These blinded and blinkered supporters of half-truths are then distracted from hearing all sides of an important issue. So uninformed conclusions are drawn that then become rigid, unexamined doctrinal beliefs that make the believers in the false propaganda ripe for refusing to deal with the truth. Politics in America have been deeply polarized lately because of the cognitive dissonance and anti-democracy realities of mud-slinging and name-calling. Big Pharma and many of their willing and eager partners in the many medical industry trade groups that profit from quick-fix drug treatments have done cunningly effective, mass media work in discrediting potentially curative, non-drug approaches like psychotherapy, psychoeducation, nutritional therapy, naturopathy, massage therapy, etc, all of which are regarded by Big Pharma as dangerous competitors that need to be crushed. Over 90% of the drug research in America has, for decades, been designed, funded, ghost-written, published and totally controlled by the pharmaceutical industry, in whose interest it is to ensure – by hook or by crook – that its wholly-owned company researchers and company statisticians will massage the numbers enough so that they will get the FDA to approve the drug for marketing. Mainstream medical journal editors are often beholden to the drug companies that so generously subsidize their magazines. Mainstream medical journals have large numbers of drug companies and medical device companies that advertise in them. Journal articles that promote the drugs or devices from these companies are often published, but the mainstream medical journal editors rarely allow any space for peer-reviewed articles that contradict the pro-drug reports from the companies that advertise in the journals. The same conflicts of interest are on display at most major medical conventions and conferences. These so-called educational conferences are heavily subsidized by the drug industry. Most thinking physicians are appalled at the large numbers of pharmaceutical companies that give out free trinkets and food in order to attract physicians to their tables so that they can pitch their newest, unaffordable blockbuster drug. I have also observed that medical meetings that are dependent on pharmaceutical company money do not invite researchers who want to present information about non-drug alternatives that go up against drug and medical industry dogma. Whistle-blowers and medical heretics are not welcome at such medical conventions. Truth-tellers rain on Big Pharma’s parade and so they are excluded. Whatever Happened to Fully Informed Consent? I was taught in my medical school training that before prescribing a treatment, the physician was ethically and medico-legally obliged to fully inform the patient about the potential hazards of a drug (or a surgical procedure). Then the patient was to be given an opportunity to refuse or accept the recommended prescription or procedure. Consent to surgical procedures was to be signed and the signature witnessed. Alternatives to the suggested treatment program were also to be offered. Unfortunately, and often tragically, obtaining fully informed consent before prescribing a drug no longer seems to be the standard of care in the Big Business of modern medicine, where high productivity, high patient turnover and high income-generation for the clinic is the norm. Such “efficiencies” often short-change thoroughness and quality time that should be spent listening to the concerns of the patient. Stopping to fully discuss the potential dangers of medications is often replaced by the handing out of computer-generated lists and a coerced signature from the patient that (falsely) states that she has been fully informed of the pros and cons of the treatment. Medical malpractice lawyers assure us physicians that such short-cuts to consent hold up in court. Most of the patients that came to me in my holistic mental health care practice, did so because they knew that they had become addicted to and simultaneously sickened by their psychiatric drugs (usually involving combinations of two or more drugs that had never been thoroughly tested for safety or efficacy – even in the animal labs). Most of those patients had already failed in their attempts to get off their offending drugs because of the terrible withdrawal symptoms that had occurred when they had tried to cut down the dose. Withdrawal syndromes always involved totally new symptoms that hadn’t been there prior to starting the drug – no matter what the original diagnosis had been. I saw hundreds of patients in my practice who were totally unaware that their drug could cause permanent tardive dyskinesia, dementia, brain damage, permanent drug-induced disabilities, temporary or permanent sexual dysfunction, akathisia, violence, aggression, homicidality, suicidality, Parkinsonism, depression, mania, psychotic reactions, atrophy (shrinkage) of the brain, diabetes, obesity, insomnia, hyperlipidemia, loss of IQ points, loss of memory, etc, etc, all of which they or their physicians could have read about in the pharmacy’s prescription handouts or in the PDR (Physician’s Desk Reference). It is important to point out that the above short list of serious – even life-threatening – adverse drug effects have been documented again and again in the medical literature but likely were not mentioned by the too-busy prescribing physician. Most importantly, my patients had never been fully informed that they could become dependent on those substances and therefore could suffer serious withdrawal symptoms when trying to go stop their drug. Obtaining fully informed consent is a time-consuming problem for modern medical practitioners, and it always has been. But, given 1) the millions of drugs that are being prescribed today just in America (many of which can cross the blood brain barrier and enter the brain), 2) the 3,600 virtually unreadable fine print pages in the PDR and 3) the enormous numbers of adverse effects from the drugs that had been ingested for weeks, months or years, the problem has to be far worse now than when I was prescribing drugs early in my career (the toxic natures of which I had also been kept unaware). Knowing what I know now, I shudder to think of the harm that my choices in prescribing did to my unsuspecting patients in decades past. It’s an increasingly dangerous road for physicians to travel, but it is even worse for their patients. If my medical heresy has come about because of my truth-seeking and my ethical concern for patients, I accept the label gladly. Dr Kohls is a retired physician who practiced holistic, non-drug, mental health care for the last decade of his family practice career. He now writes a weekly column for the Reader Weekly, an alternative newsweekly published in Duluth, Minnesota, USA.